Nine-tenths of the whole population of grain-exporting countries like Russia, one-half of it in countries like France which live on home grown food, work upon the land - most of them in the same way as the slaves of antiquity did, only to obtain a meagre crop from a soil, and with a machinery which they cannot improve, because taxation, rent and usury keep them always as near as possible to the margin of starvation (Kropotkin 1912, 412). Kropotkin's most famous book, Mutual Aid, maintains that cooperation within a species has been an historical factor in the development of social institutions, and in fact, that the avoidance of competition greatly increases the chances of survival and raises the quality of life. He contended that mutual aid is a factor that is both biological and voluntary in nature, and is an enabler of progressive evolution. Without it, life as we know it could not exist. This can be also seen in the animal kingdom. Horses and deer unite to protect each from their foe, wolves and lions gather to hunt, while bees and ants work together in many different ways. Kropotkin said that mutual support is an established fact within the feathered world, with eagles, pelicans, vultures, sparrows, and other fowl, collectively searching for and sharing food. Some species of birds even gather together at the end of the day to sleep. Kropotkin also believed that we have a predisposition to help one another, and we do so without governmental coercion. A centralized government is not necessarily needed to set an example or to make people do the right thing. People were doing so before the rise of the State. In fact, Kropotkin maintained that it is government that represses our natural tendency for cooperation. He accused historians of giving little attention to the lives of the masses and their inclination to help each other, offering up instead, a distorted view of civilization through a series of "epic poems, the inscriptions on monuments, the treaties of peace - nearly all historical documents bear the same character; they deal with breaches of peace, not with peace itself" (Kropotkin 1989, 117). The leaders of contemporary thought are still inclined to maintain that the masses had little concern in the evolution of the sociable institutions of man, and that all the progress made in this direction was due to the intellectual, political, and military leaders of the inert masses (Kropotkin 1989, preface). The naturalist, Thomas H. Huxley, championed the philosophy of Hobbes in Kropotkin's day, particularly in his 1888 essay, The Struggle for Existence, which promoted an ideology that saw struggle, fighting, and competition as the most important tenets in the survival and evolution of human society. Kropotkin asserted that Huxley's interpretation of Darwinian theory was misconstrued and inaccurate, and viewed Huxley's school of Hobbesian arguments as "taking possession of Darwin's terminology rather than his leading ideas" (Kropotkin 1989, 78). The publication of Huxley's essay was the impetus for Kropotkin to begin writing Mutual Aid as a reply to Huxley, and the subsequent series of articles that eventually made up the book were originally published in the same journal, Nineteenth Century. An interesting point that Kropotkin makes in the book concerns the guilds of the Middle Ages. He discusses temporary guilds of cooperative, just in time groups, formed by the union of like-minded individuals, who shared a common goal and space. These groups could be found aboard ships, at the building sites of large-scale public projects, such as cathedrals, and anywhere where "fishermen, hunters, travelling merchants, builders, or settled craftsmen came together for a common pursuit" (Kropotkin 1989, 171). These examples of temporary guilds can be seen as Smart Mobs, where cooperative groups are spontaneously formed in order to fulfill a common goal, the only difference being the loss of distance due to the rise of mobile communications. The formation of temporary guilds on board ships is a good example of dynamic cooperation in a mobile situation. After leaving port, the captain would gather the crew and passengers on deck, telling them they were all in this together, and that the success of the voyage was dependent upon all of them working as one. Everyone on board would then elect a "governor" and "enforcers," who would gather "taxes" from those who broke the rules. At the end of the voyage, the levies would be given to the poor in the port city (Kropotkin 1989, 170). The emergence of these types of collaborative techniques made possible new forms of cooperation, and therefore, expanded the ways in which people could succeed and survive more efficiently and effectively. Self-sacrifice and loyalty to a common cause and concern for the well being of the whole, were the norm within these on the fly cooperative communities. This could be seen not only in associations, societies, brotherhoods, and guilds, but also in neighborhoods, towns, villages, and cities, with mutual aid being a prerequisite for survival among the working classes throughout the evolution of civilization. Solidarity is central to mutual aid and remains strong, even when government control, power, and bureaucracy seem destined to pit one against the other with the hope that it can suppress initiative. Instead, strangers are seen helping each other. Peasant women of Russia gave bread and apples to German and Austrian prisoners of war during WWI, and tended to the wounded, regardless of their nationality (Kropotkin 1989, preface). 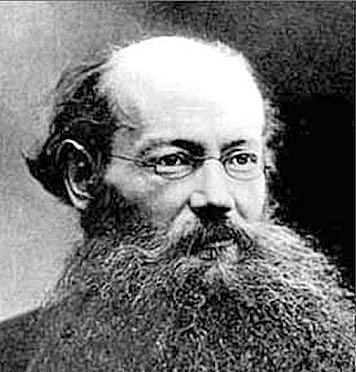 In Fields, Factories and Workshops, Kropotkin talked about his vision of a technological and scientific utopia, where people would be freed from toil, poverty, and struggle by the development of machinery and tools that would do at least some of the work for them, and cut down on the time it takes to do the work. For Kropotkin, tools and techniques were a means to an end. He would probably view the emergence of mobile cooperation as a natural extension of the evolution of mutual aid - just another technology allowing us to come together for common causes in an independent and dynamic fashion to aid each other. Cooperation has always been at the heart of the creation of human society. As technology progresses, so do the ways and means that people have to help others for the well being of the species. Kropotkin would say that nothing has changed. Kropotkin, Peter. Fields, Factories and Workshops. London: Thomas Nelson & Sons, 1912. Kropotkin, Peter. Mutual Aid. Montreal: Black Rose Books, 1989.